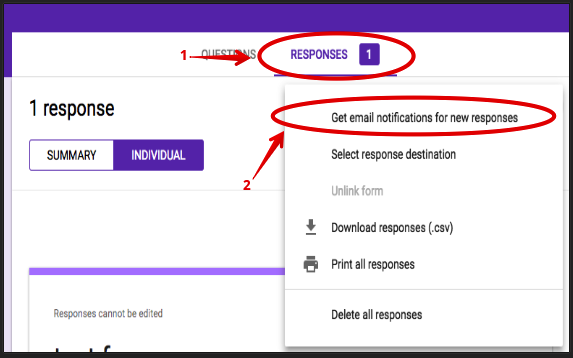 Click on ‘More’ and select ‘Get email notifications for new responses’. 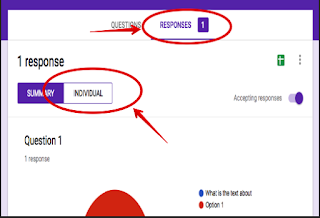 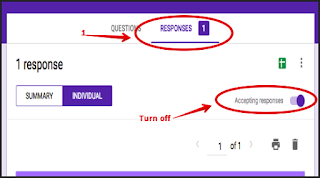 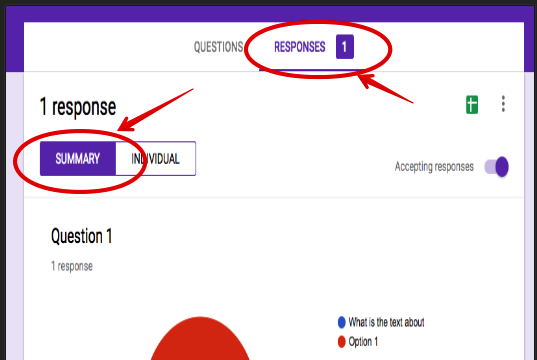 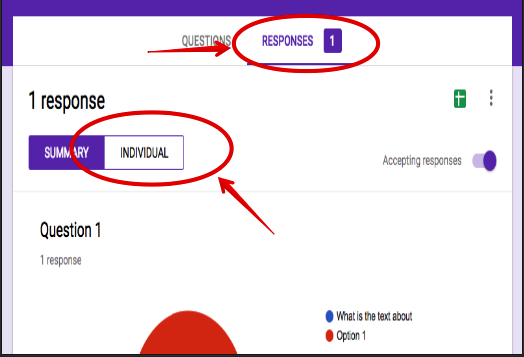 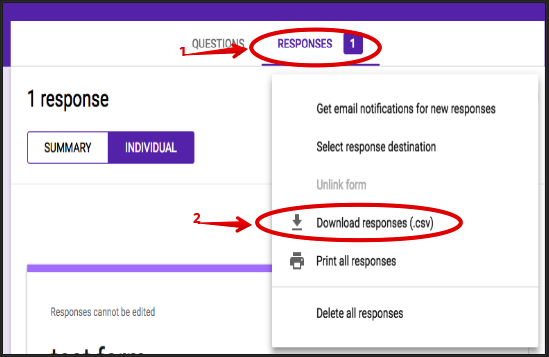 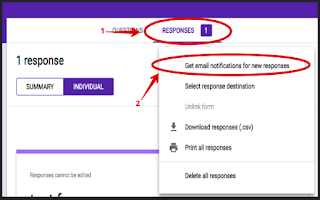 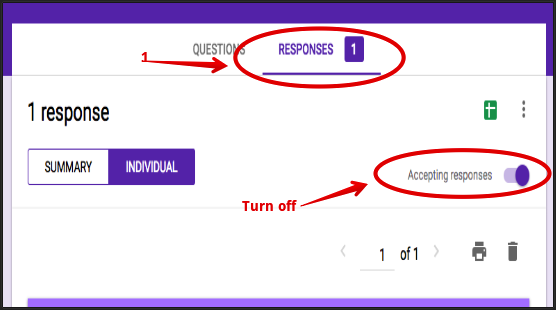 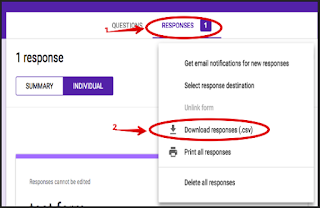 This feature allows you to collect email addresses from your respondents.Anyone who wants to fill in your form will be prompted to provide their email address. 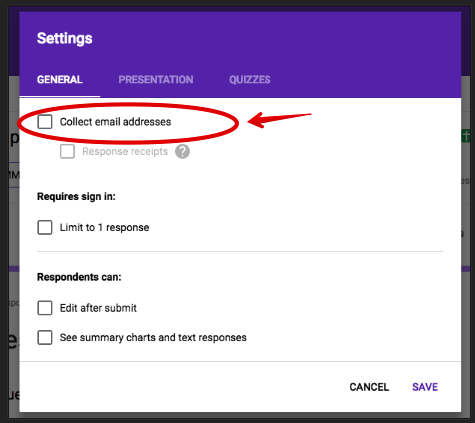 Check the box next to "Collect email address."